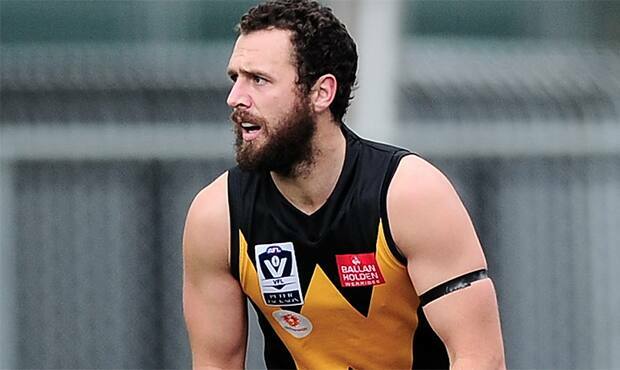 Werribee has defied the odds to play in a Semi Final after beating a much stronger North Ballarat in the VFL. It was a tight affair in Port Melbourne despite the Tigers going in with a weakened outfit due to several of their Kangaroo regulars called up to the AFL. 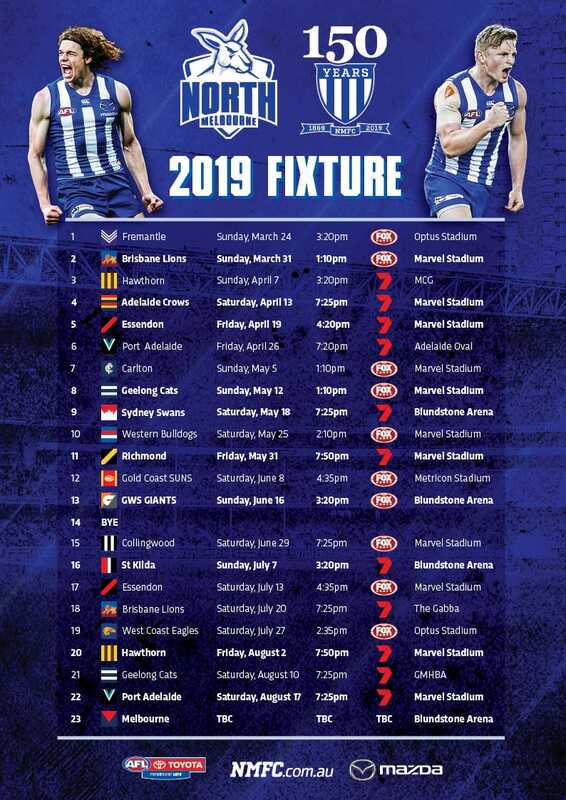 First choice ruckman Daniel Currie, forward Mason Wood, small forward Kayne Turner and defender Jamie Macmillan among those withdrawn from the Elimination Final to represent North Melbourne against Melbourne on Saturday night. That left Tim McGenniss, Scott McMahon and Kieran Harper as the only AFL listed players to fly the flag against Liam Anthony, Brad McKenzie, Joel Tippett, Robbie Nahas, Trent Dumont, Mitch Wilkins, Eric Wallace and Max Warren for the Roosters. Anthony started as a deep forward in a surprise move, perhaps inspired by the success of Jack Ziebell and Ben Cunnington as inside midfielders playing forward in recent weeks. It paid off for the Roosters too, with the number four marking early and goaling after a 50-metre penalty was awarded. Werribee booted the opening two goals before Nahas made himself known after a long stint on the sidelines with a shoulder injury. The small forward, in his first game back, marked on a lead but couldn’t capitalise with an errant shot at goal. Inaccuracy the story of the day for North Ballarat. American recruit Wallace imposed himself in the ruck on an undersized opponent, but at times was a little over zealous giving away several free kicks. The Roosters were always in the contest and looked to be in an even better position when Tiger Jarred Moore went off after a brutal high hit. The concussion test was administered immediately and the club captain was ruled out of any more action just before quarter-time. Although his team was leading by 6-points, Werribee coach John Lamont unleashed a fearful spray in the huddle reminding his players that they were playing in a final. “For Christ’s sake, switch on!” Lamont yelled. Harper responded in the second term with an interception and snap goal to make the score 21-19 in Werribee’s favour. As time ticked away, the score remained low and after a Nahas goal just before the long break, the Tigers’ lead was 4-points. The sides came to blows as the players walked off the ground, reinforcing the high stakes and emotion. “It’s a tough game, but that’s finals football,” Nahas told ABC TV. After a breather, Werribee went on a run in the third and stole the game away kicking 4.4 to North Ballarat’s 1.1. Its lead blowing out to 26 with a quarter to play. Nahas linked up with Dumont for the Rosters’ solitary major but the side continued to struggle to find the middle of the goals. With the end of their season coming fast, the Roosters threw everything at the Tigers in the final term, peppering the forward fifty. But the veteran McMahon stood up under the pressure and helped repel the attacks. Harper was taken from the ground with another ankle injury leaving just two fit players on the bench as North Ballarat closed to within 18-points at the fifteen minute mark. But Lamont’s men had done enough and made the most of the Roosters’ poor disposal and execution. The Tigers home by 37-points and are now set to play against Williamstown on Sunday afternoon. “I was just disappointed with their attention to detail and their application to taks that we talk about all the time,” Lamont said when asked about his quarter time spray after the match. The club could welcome back a raft of experienced players depending on who comes out of the North Melbourne side. “I’m really pleased with the character our blokes showed in the end because we lost our best ball winner, Jarred Moore very early in the game, and then Kieran Harper…down a rotation, warm day, ground was like concrete, they showed a bit our blokes, pleasing,” Lamont added.